Hand-made 3D Multilayer Full Strip False Eyelashes,Made of 100% mink fur, vivid and shiny and long lifespan,more thicker,more longer. Easy to install, hypoallergenic, do not harm your eyes, totally cruelty-free. A Light &Soft Handcrafted Cotton Band Results in An Easy to Apply and Comfortable Pair of Lashes You Can Wear All Day. Suitable for Professional Application like Wedding Event &Photo shoot & Night Out or Daily Daytime Use. High-end Quality Ganranteed and Great Customer Service Offered. Please Go Back to Us If You Have Any Question. 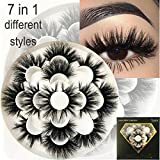 Welcome to our store This 3D style mink lashes is Exclusively designed by Makeup Artist , look shiny and vivid, which can add a dramatic look to your eye makeup and boom your appearance instantly. Features: 1. All handmade craft full strip lashes 2. Create a beautiful, glamorous look 3. Easy to Apply ,Comfortable and Reusable with Proper Care 4. Eyelashes can be trimmed to fit the contour of your eyes 5. With professional eyelash glue, You can apply the lashes instantly 6. Easy to remove by eye makeup remover or tools 7. Can be used for many times if the eyelashes are used and removed properly 8. Free from chemical treatment &hypo-allergenic &Cruelty-free Specifications: 1. Condition: New 2. 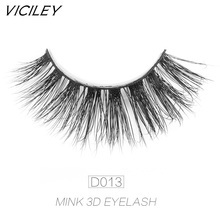 Material:100% Mink Eyelashes 2. Eyelashes color: Black 3. 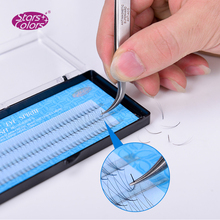 Quantity: 1 Pair Pack Tips on how to use: 1.Carefully remove the eyelashes from the case with tweezers. 2.Compare false eyelashes with your eyeline length, trim to suitable length and width if neccessary. 3.Add glue along the false eyelash root with cotton bud. 4.Hold the eyelash on the root of your natural lashes with pressure. 5.If neccessary, apply eye shadow or eyeliner to make your eyeline look more natural. Attention Please If you want to keep the eyelash longer use, remember to clean them by eye makeup remover, and then put into the case to keep the curl. Fyonas Hair fake eyelash can be use repeatedly after care then help to save a lot of money. Please Go Back to Us If You Have Any Question. 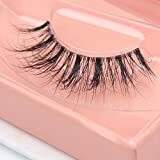 High Quality: The faux mink lashes are made of imported fiber which is one of the best false eyelashes materials..
Soft & Comfortable to use: The faux mink eyelashes are as soft as real eyelashes, extremely comfortable to use. 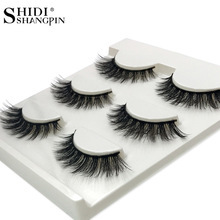 A must have item for false eyelashes lover..
5 Pairs & Durable: With 5pairs faux mink eyelashes, you don't need to worry no eyelashes to use or spending too much money on them. The false eyelashes could be reused for 3-10 times..
Long & Dramatic Look: The false eyelashes are 7-15mm long, perfect for night out, party.. Handmade & Easy to apply & Remove: The faux mink eyelashes are meticulous handmade to ensure the best quality of every faux mink eyelashes. 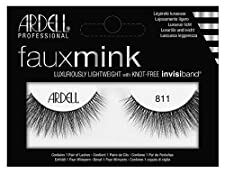 The faux mink eyelashes are extremely easy to apply and remove..
Ardell’s Faux Mink lashes now come in cult favorite 2 pack Demi Wispies styles with a knot-free Invisiband®. The most luxurious Demi Wispies yet! Ardell’s Faux Mink lashes now come in cult favorite 2 pack Wispies with a knot-free Invisiband®. The most luxurious Wispies styles yet! A pretty and delicate style with gorgeous length. Naturally crisscrossed for a beautiful finish. With a natural feel, the lashes contour the eye perfectly and are long lasting and reusable.Get Fabulous Lashes in 3 Easy StepsStep 1: Measure lash and trim to sizeStep 2: Apply glue and let dry approx 10 secondsStep 3: Set lash on eye and press lightly to secureThe pack contains set of lashes and glue. EYLURE VEGAS NAY FAUX MINK - OPULENTA pretty and delicate style with gorgeous length. Naturally crisscrossed for a beautiful finish.With a natural feel, the lashes contour the eye perfectly and are long lasting and reusable.The pack contains set of lashes and glue. 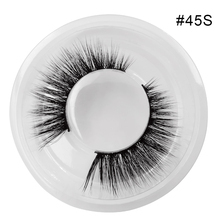 A silky- soft mink style lash with a delicate kick-out at the corners. With a natural feel, the lashes contour the eye perfectly and are long lasting and reusable.Get Fabulous Lashes in 3 Easy StepsStep 1: Measure lash and trim to sizeStep 2: Apply glue and let dry approx 10 secondsStep 3: Set lash on eye and press lightly to secureThe pack contains set of lashes and glue. EYLURE VEGAS NAY FAUX MINK - BAROQUEA silky- soft mink style lash with a delicate kick-out at the corners.With a natural feel, the lashes contour the eye perfectly and are long lasting and reusable.The pack contains set of lashes and glue. **Eyelashes Material: Made of 100% mink fur,full strip mink lashes. **Eyelashes Advantage: Easy to wear, reusable up to 25 times. **Eyelashes Feature: Suitable for daily wear or any special occasions..
**Eyelashes Package: 1 pair of strip mink lashes with without adhesive **. 3D Double Layer Full Strip Mink Eyelash With Invisible Flexible Band ,Working Naturally With Your Mascara. Easy to Apply ,Comfortable and Reusable with Proper Care(Reminder:Clear Band Lash Do Not Last as long as cotton Black Band Lash From Procedure Perspective.Please Go Back to Us and Get Replacement and Gifts If Clear Lash is Ripped Off For Intiate Use). Handcrafted From The Softest and Finest Naturally Shed Mink Hairs,Our Lashes are Extremely Natural Looking,Combined with Their Beautiful Curls,These Ultra Fine Lashes Give Your Eyes A Natural Lift. Suitable for Professional Application like Wedding Event &Photo shoot & Night Out or Daily Use. High-end Quality Ganranteed and Great Customer Service Offered:1 No Reason Exchange or Replacement 2 Cute Gifts Applied When Replacement Sent Out.Please Go Back to Us If You Have Any Question. 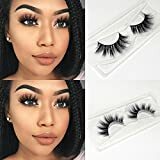 1.100% real mink Material: Mikiwi 3D mink lashes is made of 100% real siberian mink hair shedding from young mink ,which is totally cruelty free product..
2.Fancy 3D,light and comfortable:the hair is super soft hair ,light as air and comfortable ,luxury looking will make all eyes on you..
3.Reuse up to 20-25 wears: Mikiwi lashes Can be used for many times if the eyelashes are used and removed properly ,Easy to remove by eye makeup remover or tools ..
4.Pure hand made by skilled worker :Mikiwi Lashes are 100% hand made in every step up to 20 steps ,Mikiwi lashes are Free from chemical treatment &hypo-allergenic &Cruelty-free. 5.Amazing packaging: the lashes is packed with a high quality papar box which is super fancy looking paper box .no glue attached.. Product descriptionMikiwi company profile:1.We are Mikiwi eyelash manufacturers, There is one in every five eyelashes made by my company in the world. 2.Mikiwi lashes are Exclusively designed and handmade by skilled worker according to design blueprint , treated without chemical. we have our own factory located in qingdao city ,china and strict QC and production line. 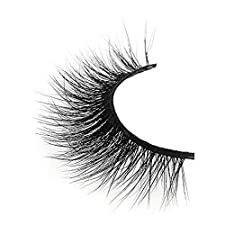 we have over 500 workers and selling worldwide ,we are supplying many big famous brand lashes.We sell millions of pairs eyelashes every year.Specifications:1. Condition: New 2. Packaging Material: High-grade packing boxes 3. Box Size: 4.33x 2x 0.59 inch / 11 x 5.1 x 1.5 cm(L x W x H) 4. Eyelashes color: Black 5. 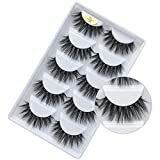 Quantity: 1pair premium mink eyelash Package includes:● 7 pair of Mikiwi 3D mink false eyelashes, ● High-grade packing boxes. No glue attached. How to apply false eyelashes: 1.Gently remove the false lashes from the tray using tweezers 2.Hold the lash strip against your eyelid & trim the ends if the band is too wide 3.Apply a thin strip of lash glue along the band & wait for the glue to become tacky 4.Place the lash band as close to your lash line as possible & hold until it is secure 5.Store lashes in its original packaging to preserve its shape & integrityQuality assurance:1.All mikiwi lashes products is best quality and guaranteed. 2.To prove how confident we are in our product, we offer a lifetime money back guarantee with every purchase! If you are not completely satisfied with your lashes, we will refund your purchase with no exception!